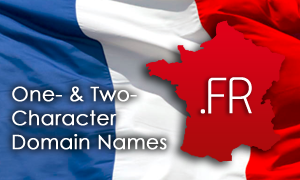 The French domain registry has extended .FR domain registration to include names consisting of one or two characters. Now, such names are available for registration by the general public based on a sliding scale. Until now, short domain names have been available for registration by rights holders only, within the Sunrise phase. The total number of 1- and 2-character domains registered during that phase is 111. As of February 16, the Landrush phase has been in effect, during which short domain names can be registered by any willing party at prices reduced every week over a period of one month. The sliding scale pricing system, (starting price of 15,000 euros per domain name and ending at 100 euros in the fourth week), aims at preventing the (high) value of short domain names from being instantly privatized by resellers. Considering that acquiring a domain name may be a long-term investment for any business, intangible assets such as domain names should be available at cost levels in line with the advertising market prices. Finally, General Availability phase will commence on March 17, 2015 allowing the general public to purchase the domain names that are still available at the current rate. In order to register any .FR domain name, applicant must be based within the European Union or EFTA. Web Solutions further offer a Trustee Service for .FR domains free of charge to applicants who do not have local presence in France. Simply select Local Presence/Trustee Service when placing your order. If you need any additional information, please do not hesitate to email us at support@web-solutions.eu or call on +44 (0) 208 133 3994.